TravelEurope Noto hotel reservation service provides you with a wide variety of lodging and hotel options, from cheap hotels to luxury accommodation in Noto. Quick and easy hotel reservations with instant confirmation and great value for money whether you travel for business or tourism. Select travel dates and find all available hotels in Noto, check out guests reviews and locate properties on Noto city maps, book your favourite accommodation with no pre-payment. All rates are in Euros and inclusive of all taxes. In the heart of Noto, near the Teatro Comunale and Corso Vittorio Emanuele, famous for its baroque buildings, elegant shops and fine restaurants, the luxurious Hotel Il Giardino Del Barocco awaits you. 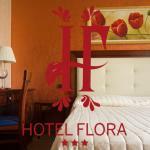 Grand Hotel Sofia is surrounded by lush gardens in the beautiful town of Noto. The hotel is within easy reach of the beautiful beaches of the area, such as Vendicari, Eloro and Marina di Noto. 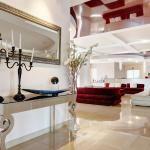 Residence Noto Nobilis awaits you in Noto, pleasant seaside resort in Sicily, near the city centre. 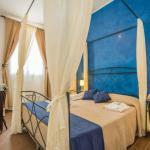 The property is just 2.2 km from the Station Square, where you can catch trains to Lido di Noto. 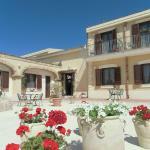 The Bed & Breakfast Anticomar is a traditional farmhouse situated near the baroque town of Noto, only 2 km away. the structure is surrounded by olive, almond and carob trees and it is only 5 km away from the beach.